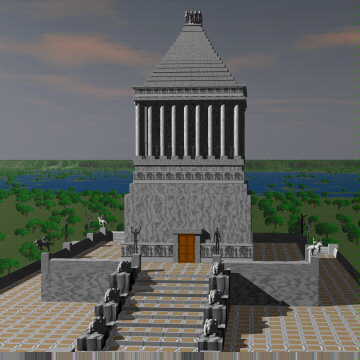 This tomb was built by Artimisia for her husband Mausolus in about 353 B.C. The structure was rectangular, with base dimensions of 40m by 30m. The height was 45m.